Everyone thinks that being an airline captain or pilot is a glamorous job full of travel and money.But people don't know the real side of it.Flying is the greatest thrill to mankind but it requires dedication,concentration and high physical fitness standards and huge amount of responsibility. As a professional pilot,I admire the role of real heroes or the flying machines and I would rather say them as Real AVIATORS as my role model.They are the person who dedicate their life for their duty and for them customer is everything and they are assets to the organisation they join in. How can I forgot the river accident over Hudson river in United States of America.The real captain who emerged victorious by landing the plane on Hudson river without any fear and able to save the lives of all the passengers and get them safely back to the ground. 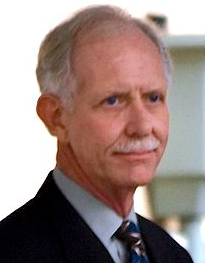 That was it...from that day I admire Captain Chesley Burnett "Sully" Sullenberger as my role model. Captain Sully is considered as one of the most respected Aviator not only in USA but all over the world.He is a retired captain now and plays numerous roles in his life from Aircraft Investigator to Book Author and motivational speaker.Captain Sully is considered as one of the most influential heroes and icons of all time according to Times magazine and has experience of flying over 25000 hours over different types of airplanes and accomplished milestones in his flying career.He is also a jet fighter pilot,served in Military Air force,won many flying competitions and numerous awards to his name. Captin Sullu is a visionary and entrepreneur and has won Medals from Guild of Aviators and Navigators. Captain Sully has great decision making capability and never to die spirit.He is regarded as perfect aviator for successfully emergency ditching of US Airways Flight 1549 in Hudson river off Manhattan in New York city.It was very crucial time for him in taking the decision to whether to turn back to the airport or land in river as there was very less time left for the airplane.The airplane after take off was hit by striking flock of birds and this resulted in structural damage to the airplane and failure of the engines. He showed great courage,team management and co-ordination skills and performing to his best ability when it was needed the most and saved the lives of all the 155 passengers and crew of the flight. I admire him as a perfect role mode for his dedication to his service,taking safety of passengers as first priority and for piloting skills.